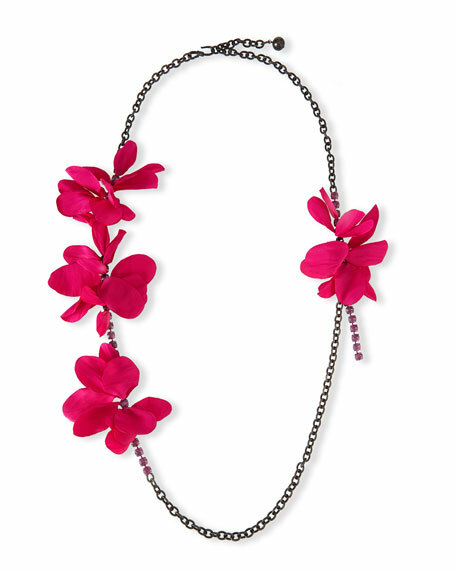 Lanvin Long Crystal Chain Flower Necklace, Fuchsia, 42.5"
LanvinLong Crystal Chain Flower Necklace, Fuchsia, 42.5"
Lanvin long brass/pewter chain necklace. Fabric flowers (polyester) and glass crystal detail. For in-store inquiries, use sku #1600912.